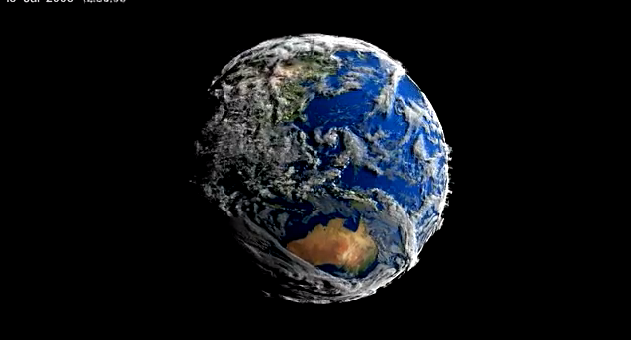 This astounding video was prepared by NASA’s Scientific Visualization Studio. In order to produce this stunning video, researchers used actual data to represent the recreation’s volume-rendered clouds. The videotape is a time-lapse that shields seven days in 2005, when a category-4 typhoon established off the shore of China. Enjoy…!!!!!!! !